Sentenced to Life by Clive James (Picador). Since James announced he is in the latter stages of a terminal illness he has produced a series of heart-rending yet clear-eyed poems looking back over his life and considering his situation. “It’s not that I’m afraid to die,” goes the Woody Allen line. “I just don’t want to be there when it happens.” Not all writers feel the same. Some would like to be there to take notes: death is good material, “the trigger of the literary man’s biggest gun”, as William Empson put it. The ideal would be resurrection – the author, brought back to life, recounting what it feels like to expire. Next best, though not to be wished on anyone, is a drawn-out terminal illness, allowing for lengthy contemplation of what’s to come. 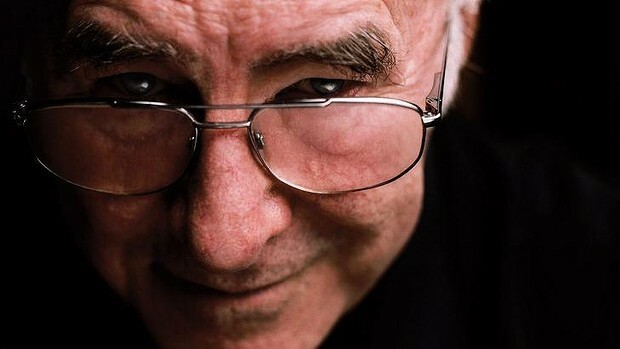 Clive James made his name as a television critic, essayist and wit. But he began as a poet, and four years on from being handed a death sentence (with leukaemia, emphysema and kidney failure – “the lot”), he is ending as a poet. In 2013, he published his 500-page translation of Dante’s Divine Comedy, which he’d been working at for decades but only finalised after getting ill. His Poetry Notebook, a volume of appraisals and apercus, appeared last autumn. And now comes this collection of 37 poems, all composed over the past four years. Clive James has a seemingly effortless skill with rhyme. By Clive James. Picador. $32.99. In addition to an incurable illness diagnosis, there are a few other things making Clive James' recent poetry particularly poignant. One is the poet's physical inability to return to his homeland for a last look. Another is the sense that from that "great bunch of guys", as James was once memorably described, the most important one was not the television star but the poet. His recent, relatively prolific output in this form has a strong sense of making up for lost time. As James himself puts it in the acknowledgements for Sentenced to Life, "You can say you're on your last legs, but the way you say it might equally suggest that you could run a mile in your socks". "The world you quit / Is staying here, so say goodbye to it." At first glance, it would seem inevitable that a book whose main concern is with the author’s old age, illness and proximity to death might be mildly depressing. Poets from Catullus to Milton to Ted Hughes have elegised others wonderfully, but when they turn that gift on themselves, the danger of self-pity, in particular, becomes all too clear and the reader is tempted to look away. All of which makes Sentenced to Life a brave and risky book, and by the time we reach “Compendium Catullianum”, whose opening line gleefully combines Catullus’s best-known Lesbia poem with the Monty Python dead parrot sketch – “My girlfriend’s sparrow is dead. It is an ex-sparrow” – we know that Clive James’s trademark wit will more than carry him through. Indeed, with its mixture of technical verve (James has always been a master of form) and self-deprecating wit to leaven the pathos, it seems that, as he moves through the phases of life’s penultimate stage (the final stage being death itself), he has reached the pinnacle of his powers. Death has been a rich reference in Clive James's writing. Back in 2004, in his essay 'Save Us From Celebrity', he thought about his perfect demise: "I want to be knifed to death in an Elle McPherson lingerie commercial." It's for that deadpan, Antipodean wit that most of us know James. Now, the resurrection of his literary work is taking centre stage. Since being diagnosed with terminal leukaemia and emphysema five years ago, James continues to frustrate the obituary writers, and is becoming startlingly productive as his time runs out. He has chosen poetry to best express a heightened awareness of the bittersweet beauty of life as he lingers in that last ante-chamber. Without my seeing them. I count the bees." The constant changes in nature, echoing human experience, are observed in 'Japanese Maple', James's now famous and moving ode to the little tree bought for him by his daughter Claerwen when he became ill.
"That poem was tweeted all over the world. Whatever 'tweeting' is," he said in a recent BBC Radio Four interview. Clive James, whom the doctors say has a short time to live, has remarked that of the various kinds of literature he has pursued, he wants most to be known for his poetry. The poems are much influenced by his famous memoirs and his literary journalism. As with his prose, in the poems there is a raciness, a thin clarity, a copious use of paradox (to the point of mannerism), and a boisterousness (maintained despite his being ill), rendered in traditional forms. *Robert Gray's most recent books are Cumulus: Collected Poems (John Leonard Press) and Australian Poetry Since 1788, co-edited with Geoffrey Lehmann (UNSW Press). So, Robert Gray. "Sentimentality .. an unavoidable consideration." It's not easy to be sure I understand what he means by that. Sentimentality, according to Chambers, means 'the tendency to indulge in sentiment or the affectation of fine feelings' or 'sloppiness'. It's also not easy, in my opinion, to see how that might apply, much less that it's an unavoidable consideration. Anybody else? I suppose he has a point. Mean-spirited, though - "a thin clarity"? I'm confused why in all these articles about Clive's literary talents and humerous talents the lyric writing seems to be ignored. The poems are talked of, the reviews are talked of, the memoirs are talked of, the essays are talked of, the TV shows are talked of - I know as MV's we'll probably place a more biased importance on them but where's the talk of the lyrics? In response to Pete's question, I don't think it's unreasonable to suggest that, given the book's subject matter, sentimentality is an unavoidable consideration. But it's a big step then to state that the poetry 'veers' into it (though, in fairness, I imagine the headline wasn't Gray's). For me, one of the book's great qualities is that it deals, face-on, with topics that are potentially excruciatingly personal, often dancing on the edge of sentimentality in doing so. We can debate whether it's entirely successful - I think it is, and often remarkably so - but in my view we have to admire both the aim and the achievement. As to Cary's question, let's hope that The Colours of the Night receives the same kind of attention that's been accorded Sentenced to Life. I'm sure it will be merited. Though growing old and dying are as natural as evening fading into night, Dylan Thomas urges us to "Rage, rage against the dying of the light". 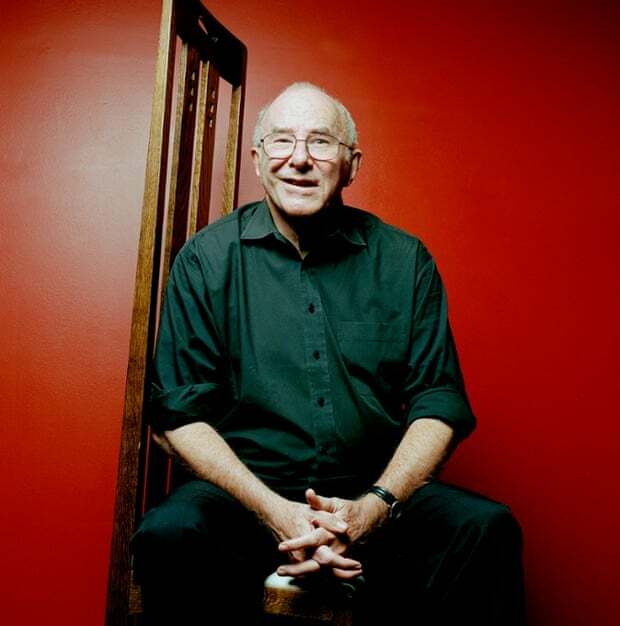 But for Clive James, pictured, now 75 and terminally ill with leukaemia, there is no rage. Raconteur, critic, polyglot, novelist, man of letters, man of the world, James, author of over thirty books, has lived the life and now at journey's end he sees himself as restless but blessed. Anyone who has not read Ruth Scurr’s John Aubrey (Chatto & Windus) can have a splendid time reading it this summer. Scurr has invented an autobiography the great biographer never wrote, using his notes, letters, observations – and the result is gripping. I read and reread Eric Kandel’s The Age of Insight (Random House) – a study of neuropsychology, the making of art and the great paintings of artists in Vienna during the 20th century. He is an Austrian Nobel prizewinning neuropsychologist who understands the making of art from inside. Like many others, I am also reading and rereading Clive James’s poems about his own approaching death:Sentenced to Life (Picador). Wise, witty, terrifying, unflinching and extraordinarily alive, they are both a great pleasure and a chill in the nerves. Finally, my bed is covered with the thrillers of Walter Mosley, who may just be the greatest thriller writer ever. PS The keen-eyed will have noticed that Byatt has done a little repacking. Don't we all? Having by chance heard Clive James read from his latest collection of poems, written between 2011 and 2014, on Radio 4 recently I was interested enough to get hold of a copy of the book, Sentenced to Life. James was a postgraduate Australian student at Cambridge in the 1960s and quickly made an impression. He has gone on to have a very public and successful career as an author, critic, broadcaster, journalist, poet, translator and chat show host. How would he like to be remembered? I raise the question because New Yorker columnist, David Brooks, asks a similar one question in his book, The Road to Character, which I mentioned in my last blog: do we want to be remembered for our CV, listing all our qualifications and worldly successes (in the way that Wikipedia lists all James’s considerable output in several different fields), or do we want to be remembered for the way in which our “character” has impressed other people? By character, Brooks means qualities like steadfastness, perseverance, integrity, loyalty – and humility. Humility is generally the first casualty of fame – and James is a famous media personality. Yet the reason I went out and got a copy of his poems is because behind the wheezing tones of an old man (he is suffering from the life-limiting conditions of emphysema and leukaemia) I sensed a deeper note of authenticity in his voice, a recitation not played for laughs (which have always come easily to James in the past), but instead, stating how reality now strikes him, in short, well-crafted, moving lyrics. “Sins” is a word it’s hard to avoid, even when you are an atheist like James. He has described religions as “advertising agencies for a product that doesn’t exist” and in an interview with Jon Snow on Channel 4 in 2010 he made it clear he believes there is no life beyond this one. “That it is here we live or else nowhere” is the constant refrain in the poem Event Horizon. Yet behind this conviction there is, I sense, a yearning for some form of immortality. There is so much awareness of natural beauty, so much intense self-reflection and so strong a wish to get life into some perspective – “I spent a lifetime pampering my mind” he laments in Change of Domicile – that I think his poetical and creative heart is at odds with his rational, argumentative mind. Sometimes the crafting of a poem is the nearest one can get to the mystery of eternal beauty. ..................This year we have Clive James’s wonderful (and let’s hope not last) collection of poetry, Sentenced to Life(Picador, £14.99), including the marvellous ‘Japanese Maple’, which unusually for a poem went viral after it first appeared in the New Yorker. The Observer columnist Kate Kellaway has chosen Sentenced to Life as one of her poetry books of the year. This year, Clive James - suffering from leukaemia - took up the idea of writing to stay alive in earnest. Sentenced to Life is that rare beast in poetry: a bestseller, a moving take on his, and our own, mortality. The godmother of a friend on mine, a woman over 100, wrote to congratulate James on his new collection and he replied with a new poem dedicated to her. * Most writers write, in the first instance, for themselves. The least appealing poets write to themselves: their poems might well come with a "Keep Out" sign. But of this crime, James is innocent. His Japanese Maple, the most feted poem in the collection, will last. My love of poetry is often challenged nowadays by what feels wilfully obscure and technically sloppy in current work. So I celebrate the magnificence of multi-talented Clive James's last poems, and hope that his terminal illness (he describes himself as 'dying by inches') will still allow him to write many more. These poems, full of guilt, love, honesty, passion and coruscating intellect will communicate with elegance and clarity to any heart consumed with the sadness and glory of mortality. A tour de force which makes me cry each time I return to it - which is often.